She will be operated by Sentinel Marine in Aberdeen and will commence a long term charter with GDF Suez on her arrival. 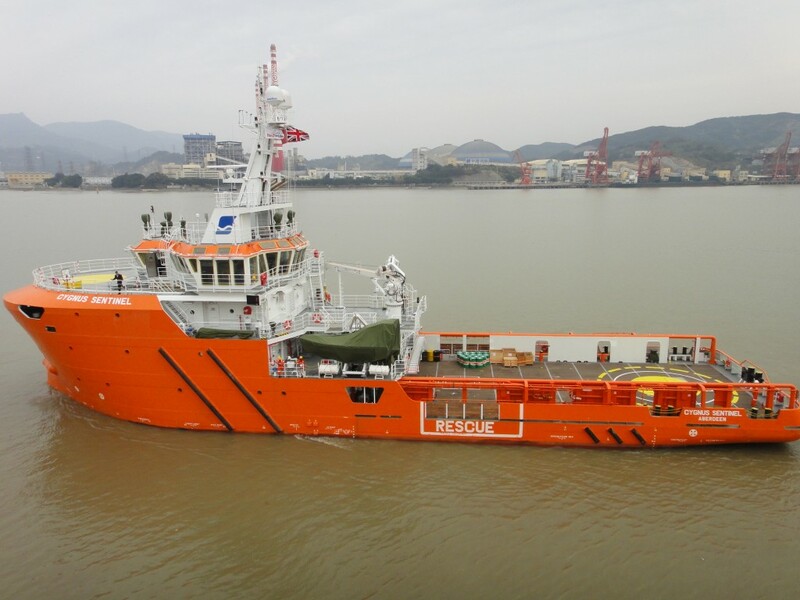 Cygnus Sentinel is one of four 61M MRV's combining ERRV and Supply vessel roles presently building for Sentinel Marine with delivery within 2015. Four slightly larger 62M MRV's are also on order for delivery Q4 2015/Q1 2016. She has 320M2 clear cargo deck,Dynamic Positioning and is configured as a Group A ERRV.